Metro Exodus takes 4A Games’ post-apocalyptic franchise out of the dark, foreboding depths of the underground and into the once-great outdoors, albeit with mixed results. 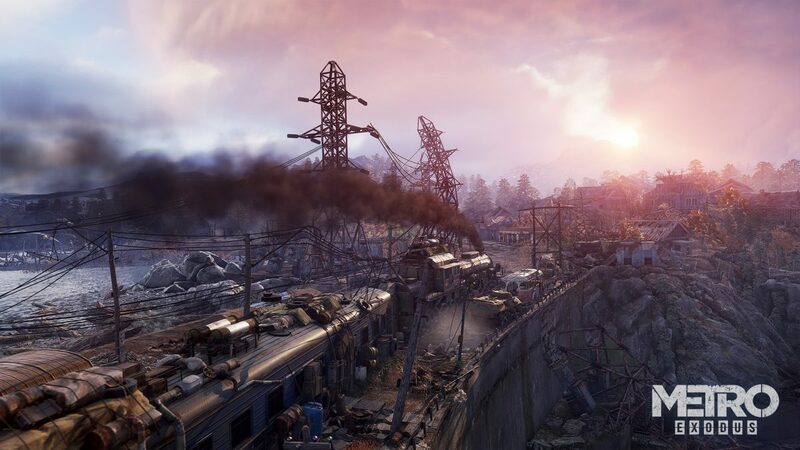 No longer confined to dreary tunnels, Artyom’s latest adventure transplants the tense gunplay and survival elements found in the previous games in the series to a handful of sprawling landscapes, each with their own unique threats. Without a doubt, this stark change in direction is a bold one for the series. But these new locales are the star of the show in Metro Exodus. Running the gamut from the verdant woodlands of the Taiga to the snowy Volga and an unforgiving desert, each area is filled with bandit camps to raid, gear to scavenge and wandering mutants waiting to ambush you if you stumble too far off the beaten path. Good thing you have a gas mask at the ready because Metro Exodus’ outdoor environments can be breathtaking. These new environments are a very welcome change of pace from the previous games’ claustrophobic corridors. The maps, while nowhere near as sprawling as say Far Cry: New Dawn’s, are fun to explore as you rummage for precious materials to upgrade your limited ammo supply or pimp out your favorite weapons. You even get to take control of vehicles like a tram, row boats and a rugged van which makes navigating the hostile landscapes a bit easier. And you’ll want the help, too. Because every area is teeming with trigger-happy mercenaries, zombies, and other nuclear nightmares who want nothing more than to rain on your parade. Unfortunately, while these new settings certainly dwarf those found in previous games in the series, and they look absolutely stellar, there just isn’t a whole lot to do in them. A handful of lairs are peppered around each area. Completing a lair will net you nifty upgrades for your gear like night vision goggles or heaps of crafting materials. The problem is they all tend to follow the same formula: go to a bandit camp or ghoul-filled apartment block, kill a few dozen enemy grunts and claim your prize. Sometimes you’ll save a prisoner or two. Most times, however, it’s just kill, kill, kill. This rinse-and-repeat formula gets old pretty fast, to be honest. It didn’t take long before I found myself wishing for some more mission variety to spice up the moment-to-moment gameplay. One area where Metro Exodus fares a bit better is its more traditional stages. These areas are usually very linear and lack that wow factor that comes with the more expansive outdoor environments. But what they lack in terms of freedom and scope, they make up for with pure adrenaline-pumping gameplay. There are a few explosive set-piece moments that really stand out, including a pulse-pounding shootout aboard an enemy train as it barrels along the tracks and a bloodbath in a grisly underground bunker littered with crazed cannibals and the ghoulish corpses of their recent victims. 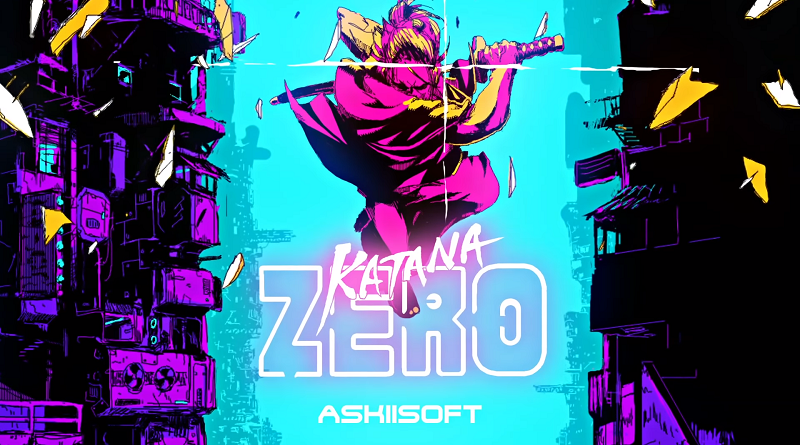 It’s in these moments that the really manages to impress with its tightly choreographed gameplay, engaging storytelling and punchy, satisfying combat. The lumbering steam engine Aurora serves as your mobile base of operations. Speaking of trains, in Metro Exodus, Artyom and his allies spend their time in-between missions aboard a massive Soviet-era steam engine called the Aurora. This new rolling fortress serves as a mobile base. It comes complete with a workbench where you can craft ammo, clean your weapons (they jam constantly when wet or dirty), and repair your busted gear before setting off on your next foray into the Wild, Wild Wastes. Sure, the idea of a mobile staging area is great. More importantly, however, the Aurora is the prime place for you to interact with your companions. These human moments really bring the world of Metro Exodus and its colorful cast of characters to life, making for some of the game’s most impactful moments. After all, it’s here you’ll hear Anna, Artyom’s wife, as she shares her hopes for her future away from the bombed-out ruins of the Moscow underground. Or, if you so choose, you can join your ragtag gang of survivors and raise a glass to a recently-fallen comrade. As for me, my favorite thing to do was to scan the airwaves on the radio located in Artyom’s cabin to gain info on each new area, or just relax to some good, old fashioned Soviet-era anthems like a good little Bolshevik. I can’t stress enough how much I absolutely loved those moments spent riding the rails during my review playthrough of Metro Exodus. These brief interludes became a welcome respite between the game’s more action-packed moments and really helped flesh out the game’s cast of supporting characters and their motivations for joining your cause. Outfitting your cache of guns with all manner of scopes, barrels, and gadgets is incredibly satisfying. No doubt about it, this greater sense of scale found in Metro Exodus is great. It’s just a shame the game is hobbled by some serious growing pains in the form of abundant technical issues that can ruin the fun all too often. In areas where the geometry gets too complicated, enemies tend to ignore things like walls and obstructions and run through them like a radioactive Kool-Aid man. I watched one bandit run straight through no less than six walls as he retreated from my hail of AK-47 fire. After finally dispatching him, I was greeted with his buddy, a sniper. Not content to sit idly by while his compatriot defied the laws of physics, he decided to charge straight off off of his third floor vantage point and continue his assault from the sky like a doomsday-equipped version of Wile E. Coyote, who had yet to realize he’d darted off the edge of a cliff, seemingly impervious to the effects of gravity. I wish I could say moments like this were a rarity, but they’re not. Glitches aside, Metro Exodus also suffers from some rather serious performance issues, at least when played on the Xbox One X. 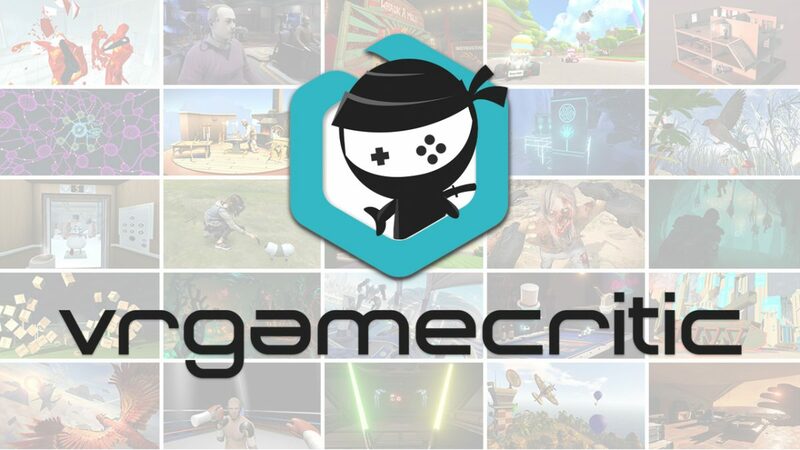 The frame-rate regularly dips considerably in outdoor areas (thankfully, the less demanding indoor environments run perfectly fine) which can make combat feel janky and unresponsive as you battle the stuttering frame rate. The worst offender, however, is the frequent crashes where the game would completely freeze until I forced it to close through the system’s dashboard. Thankfully, the game’s frequent auto-saves made it so I never lost too much progress due to these crashes. Still, the excruciating load times –which tend to clock in at several minutes each time you boot up the game– ruined the flow and often made me just take a break for a few hours rather than continue my journey. 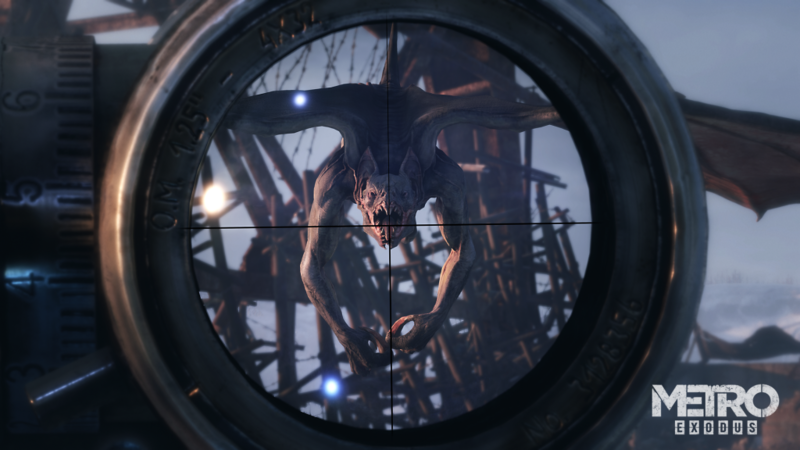 It’s a real shame that Metro Exodus has so many technical kinks holding it back. Because when things are working as they should, it’s a hell of a lot of fun. I loved scouring the ravaged world and upgrading my once-meager pistol to an indomitable force of destruction with all sorts of attachments and gadgets and battling bands of marauding mercenaries or crazed cultists in their hideouts. And the lore and world-building presented in the radio broadcasts, scattered notes and in-game dialogue really pull you into author Dmitry Glukhovsky’s vision of a nuclear dystopia. I sincerely hope developer 4A Games is able to iron out these issues with more post-launch patches. 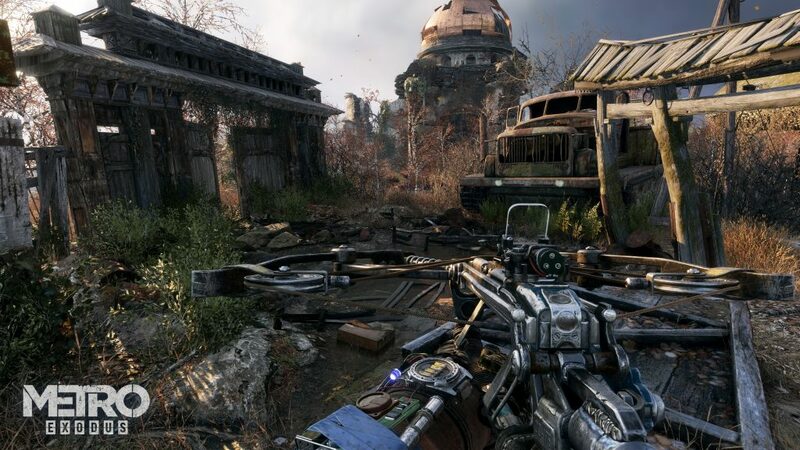 However, in its current state, Metro Exodus is a bit of a mess on the Xbox One. When all is said and done, you can’t say Metro Exodus isn’t ambitious. Taking the series out of the underground and into the wilds of a ruined world was the shot in the arm the Metro series needed. 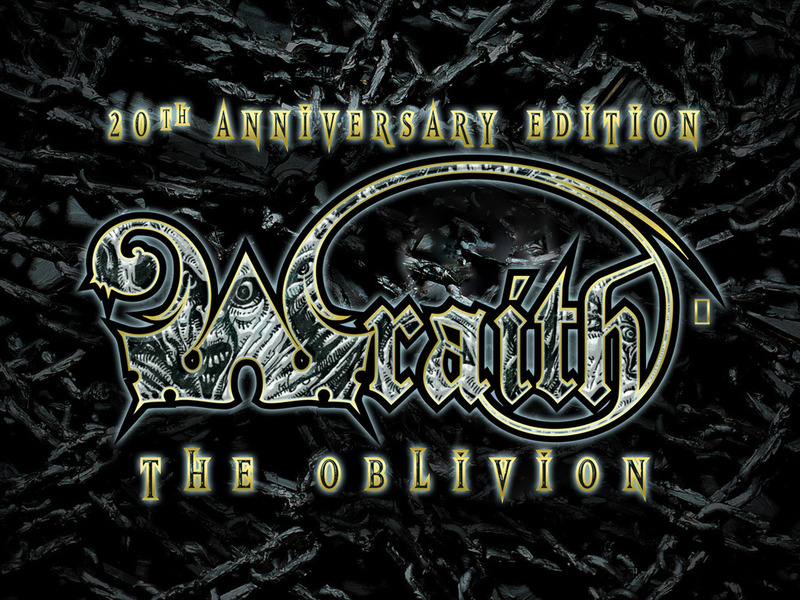 And though the setting is vastly different from that of its predecessors, the challenging survival gameplay and brutal combat that define the series remain perfectly intact. However, a sandbox is only as entertaining as the toys you’ll find in it. And with precious little to do apart from the main story missions than loot and shoot, these perilous playgrounds get stale far too soon. These repetitive missions, combined with the myriad technical problems that crop up along the way, make for a game that doesn’t quite live up to its potential. Despite these gripes, the game’s gripping narrative, weighty combat, and exceptional atmosphere should still please longtime fans of the series. With a bit more spit and polish, Metro Exodus could have been a real masterpiece. Unfortunately, the end result doesn’t quite hit the mark. 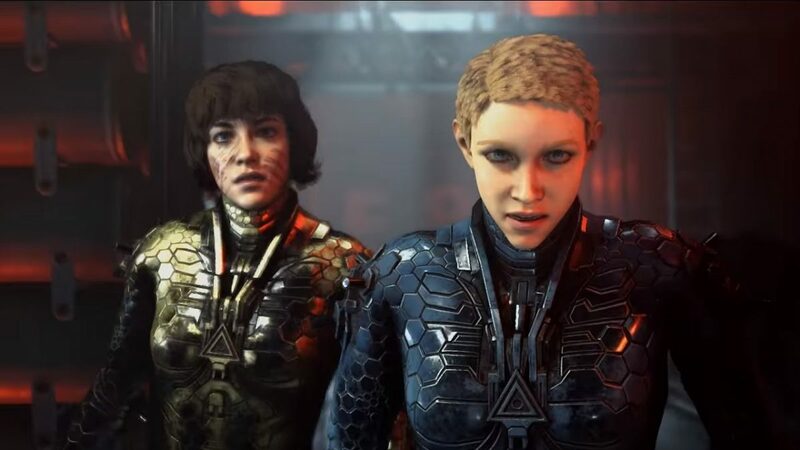 Here’s hoping developer 4A is able to squash the bugs that riddle the game with patches down the road because there’s a satisfying shooter experience buried beneath the game’s many bumps and bruises. 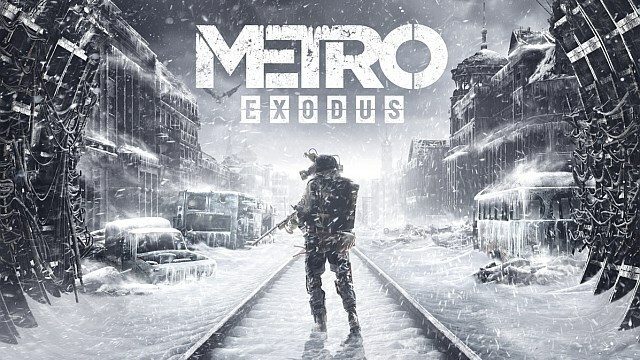 Full disclosure: This review is based on a copy of Metro Exodus given to Hey Poor Player by the publisher.